Your Love For This Series Shall Henceforth Blossom or Something! 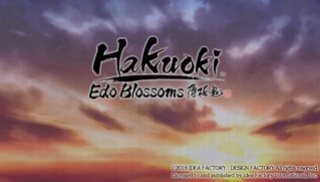 Developed and published by Idea Factory, Hakuoki: Edo Blossoms is an otome visual novel which means the story-telling is from a female's point of view. 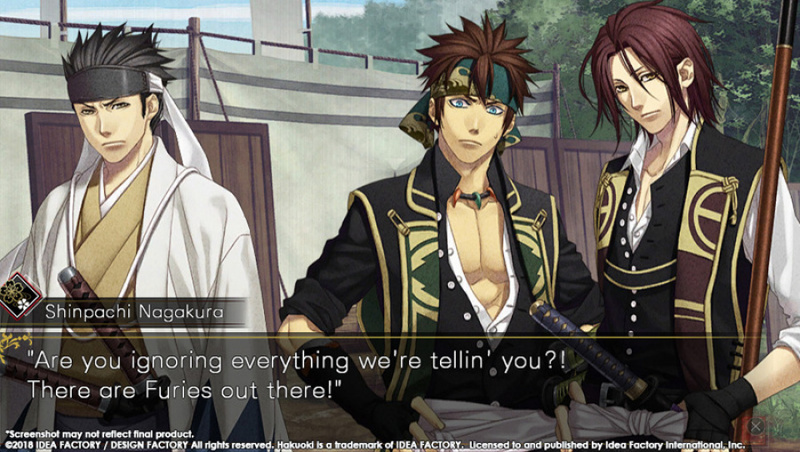 If you're some burly dude you might just immediately write this game off, however the Hakuoki series is also known for it's action and sometimes gory scenes which is a stark contrast from most visual novels from the otome sub-genre and because of this there's plenty of reasons for even men to dive into this series though we admit it's certainly not for everyone. Read the rest of our review to find out if this game is for you! First-off Hakuoki: Edo Blossoms has several branching story-lines and different branches within those branches so be prepare to play the game dozens of times in order to see everything the game has to offer. As you'd expect the story takes center stage as this is a visual novel after all, however the game is unique in the way it weaves together action, violence, and romance in equal portions, it certainly keeps things entertaining and rarely gets boring. The game is also PSTV compatible which is always a good thing in our opinions! The story can at times differ greatly depending on which character's story you choose to play which is great, though there are some inconsistencies at times which is unfortunate, however the overall story was quite a thrill to play through! The audio-visual presentation is amazing in Hakuoki: Edo Blossoms as the backgrounds and characters are detailed and absolutely gorgeous to look at and the music is also top-notch and fits the mood and settings of the game perfectly! 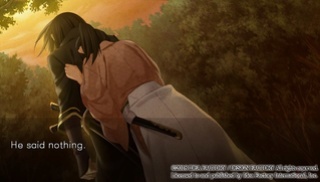 With an excellent story that has a ton of replayability and a flawless audio-visual presentation, Hakuoki: Edo Blossoms is an excellent visual novel from start-to-finish and will entertain a wide range of people due to its variable storytelling that ranges from action/adventure, to romance, and even horror. The only drawback are a few inconsistencies in the story, but overall the game is a fantastic visual novel that we highly recommend! @Aqua Cherry Blossom @Otaku Thanks for the comments you guys! What a lovely review @Reanfan. I can't believe you reviewed this, but hey at least it doesn't sound like it was bad for what it is. This is not my kind of game, but your review is as amazing as always!